If you want to have the look and feel of iPhone OS 4 right now, without having to update your iPhone and iPod touch to OS 4, then “iPhone OS 4” theme for Winterboard is the way to go. This theme includes wallpapers for both home screen and the lock screen, along with the new icon for “Calculator” app. This is how it looks like. To install this theme, you need to be jailbroken on iPhone 3.x with Winterboard app installed from Cydia. 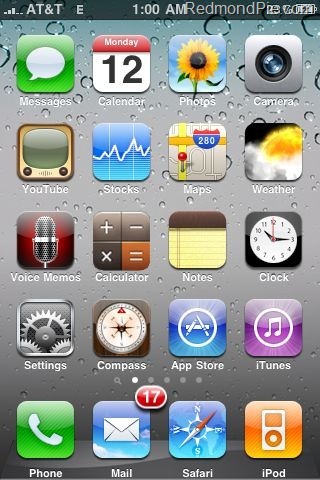 Simply search for “iPhone OS 4” for theme in Cydia (under www.ispaziorepository.com), and “OS 4.0 Calculator Icon” for the new icon and install them. Activate the said themes from Winterboard and you are good to go. Apart from this, I will also highly recommend you to install ProSwitcher if you haven’t already for all the multitasking goodness, and “Categories” app for folders on your jailbroken iPhone and iPod touch. i know this is off topic, but say a dev has registered your UDID on their account.. how do you go about downloading the beat firmware? do you have to have a mac or can it be a windows? thanks. would the new software lock all the previously unlocked phone as well?